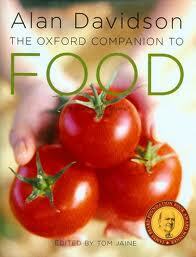 Oxford Companion to Food is constantly thumbed in this house, it is a book I found out about when I was working for a fine food supplier 10 years ago and it remains one of my best purchases. 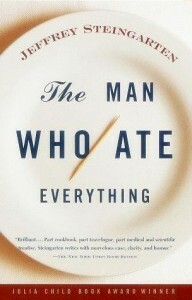 Endlessly entertaining and brilliantly researched, and my kids will have a food education which I didn’t, growing up. Good, innit? 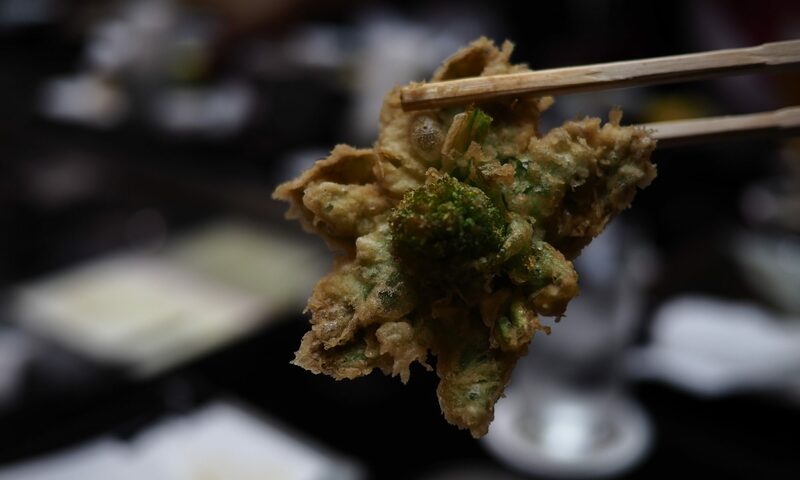 Your squab story is a shocker, but it’s by no means unusual. I met a very famous chef (Michelin stars and everything – s/he will remain anonymous for now because I do not wish to be mean) once who didn’t know what root beer was. Further conversation revealed that this person hadn’t ever tasted sarsaparilla either. Part of me thinks there’s absolutely no excuse for this in a food professional; curiosity, intellectual and otherwise, is essential in any discipline. Then again, food is such a big subject, with so many branches to wander along and get lost down on the way, that nobody can be expected to have an absolutely comprehensive knowledge of the field. It’s still a surprise sometimes to find that what is absolutely quotidian for some is exotic for others (I only realised that most English and American people don’t know what a jackfruit is on asking around a couple of weeks ago – I grew up with the things and made a silly assumption; then again, I only ate my first brawn a few years ago). Perhaps I’m engaging in a bit too much of that food snobbism I was complaining about earlier. 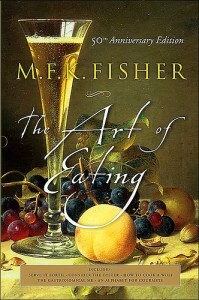 I love M K Fisher’s writing and have several books by her, her essays are wonderful. 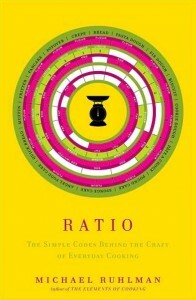 Thanks to your recommendation I’ve just added Ratio to my Christmas wish list. May I add a suggestion of my own: ‘Serve the People: a Stir-Fried Journey round China’ by Jen Lin-Liu is a great read and a great insight into food in China, part travel, part memoir, with some super recipes thrown in. I finished reading it a couple of weeks ago and intend to review it on my blog soonish. Jen Lin-Liu now runs a cookery classes in Beijing, and I am quite keen to sign up for some of them – how to use a cleaver without loosing my fingers seems a lesson I might need! M(ary) F(rancis) K(ennedy) Fischer rocks. How To Cook a Wolf is amazing. Her attitude is awesome. Her food writing (for me) defines what good food writing is. 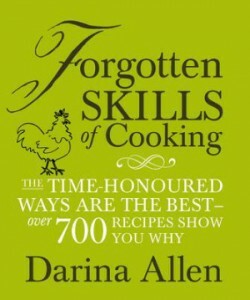 I have the Forgotten Skills book and it is so worth having. A truly great book.